Unfortunately, anyone who’s made significant attempts to be prepared has heard all of this nonsense before. And yet for some reason they struggle with the proper response. Well, this is how I deal with it. First of all understand that I absolutely LOVE my friends and family. While family has always been important to me, I’ve somehow been blessed with lifelong friends as well. In fact, my feelings of love and concern for one or the other are hard to differentiate at times. Lately my circle of friends has increased significantly. I find myself reaching out even to friends from junior high and high school and employment from years past. I believe the reason is due to the fact that my awareness for the need to be prepared for a real emergency has been heightened substantially. As I ponder the ramifications of such an event incurring in our nation, I can’t help but feel more connected to the people around me in a very humanistic way knowing that they will struggle if they aren’t prepared. I know that witnessing their struggle may even be more difficult for me than the crisis itself. That being said, while my concern is genuine, I realize that I cannot argue with reality. First reality check—there’s a lot of assumption by a person who believes that they will even be able to MAKE it to my home for food, water or other supplies. What’s to say that they haven’t moved by the time a disaster strikes, or that they are trapped in their home due to a nuclear blast or a pandemic quarantine for a long period of time? PLANNING on going somewhere else in order to survive is NOT a plan. Second reality check—sharing is voluntary. I’m sorry, but if I have a choice of bringing someone into my “community” who has been faithful and has done all that they could do to prepare and can contribute to the strength of the survival of the community, then they are going to get first dibs on what I have to contribute. A community is only as strong as its weakest link. Can any community afford to take on a dangerous liability or vulnerability and risk the lives and health of all others involved? A person who has willfully, belligerently, and defiantly ignored all reasonable warnings of preparation is not an asset to anyone else. Third reality check—and this I believe is the most important. Food and water is NOT the real security. They are only a material representation of the faith, confidence, knowledge, and mental preparation required for a person to survive an emergency. Confidence cannot be instilled into a hollow soul simply by will. The same goes with faith, mental preparedness and extensive amounts of knowledge. Thus, as much as I wish to usurp the natural laws at times and give my friends and family a “brain dump” of my knowledge and the proper mentality I’ve acquired over the years to deal with most imaginable crises, I cannot. To do so would be to violate an eternal law of choice and agency. I have this peace of mind, emotional and mental attributes as a result of my preparedness efforts—the purchasing of food, the classes I’ve attended, the countless hours of research. Not the other way around. Even more importantly, I must guard against the disease of fear. I simply cannot allow your fear to infect the world of preparedness and peace that I’ve worked so hard to create. While material goods can be willingly shared, the peace and confidence which one seeks in light of an emergency cannot. It is only had by exercising faith and a commitment of action in response to that faith. I hope that this assist many of you who may be postponing your own preparedness, as well as those who are encountered with the kind of opposition I’ve shared previously. Hundreds, if not thousands of dollars are regularly spent by Americans on gadgets and gizmos to make their cooking experiences taste better. Smokers, cedar planks, fancy grills, kitchen appliances, turkey fryers and more are all acquired with the intent to produce that ideal mouth-watering meal. Given my love of cooking, it’s no wonder my friends constantly accuse me of having every kitchen gadget known to man—er… woman. So it’s no surprise that I recently acquired yet another gadget, only to discover that not only did it produce the most amazing taste in foods I’ve prepared otherwise, but it was also ideal to use in the event of emergency survival. No water. No messy clean up. No worries of scorching or burning. No constant monitoring. And no fuel of any kind is required. The solar oven is now officially my new cooking nirvana. Before I get carried away with the food aspect of the solar oven, let me start with the basic benefits. Obviously, storing a year’s supply of fuel to cook, light, and heat your home in the event of an emergency is not feasible for the majority of Americans. It can also be hazardous depending on what kind of fuel you’re planning to use. Thus the limited amount of fuel you are able to store ahead of time will be precious in a time of uncertainty. However, a solar oven will make use of the FREE fuel God’s provided us, allowing you to divert the majority of your available fuel resources to other needs besides cooking. You can use a solar oven on any day of the year in which you have full or almost full sunlight, even in the winter. It makes absolutely no difference what the outside temperature is when you use it. The majority of your dishes will take only 2 to 4 hours to fully cook. Your food will never burn or scorch (although baked goods will dry out if left in too long), and you will have effortless clean up afterwards. (Thereby conserving your physical energy as well—a big plus!) There is no danger of a fire, and with the exception of frying foods, there’s not much you can’t prepare successfully in a solar oven. Think you’ve got “little friends” in your wheat? Simply “bake” the grain in your solar oven for a couple of hours, and you’ve got “critter free” grains that are easy to sift out any unwanted guests from. That’s a heck of a lot better than throwing out the good pasta, rice, beans, and wheat, due to some enemy infiltrators, right? Here are the basic fundamentals of an operating solar oven (not to be confused with a parabolic solar cooker). Sunlight has to pass through a glazing shield of some sort-usually glass, and then be absorbed by a black interior and black cookware. The heat rays from the sun are long and thus they cannot escape the oven, so they remain inside. The reflectors you will use allow for more of the sun’s rays to pass through the glazing layer, increasing the temperature within the cooking chamber as a result. Most solar ovens will get up to 350 to 450 degrees. Just so you know, any food can cook at 180 degrees or more, it simply will take more time than you’re used to at such lower temperatures. To create the preferred “black cookware” to use with your solar oven, all you need to do is spray the outside of a clear glass cooking dish (or even a Mason jar) with BBQ grill black paint. (You can easily obtain this for about 5 bucks at your local Wal-Mart.) This paint will not leech any chemicals into your food unless it heats up to 1200 degrees, so it’s safe to use in this instance. There are also plenty of dark cookware items available in your local stores. Truth be told, the black cookware isn’t absolutely necessary, but other choices will dramatically slow down your cooking time. In the event that you are using your solar oven during a prolonged power outage, plan on putting your first dish in the oven in the morning to be ready for lunch, and then putting in your dinner meal after you remove your lunch preparations. Baked goods cook best with the mid-day sun, as opposed to the later afternoon. And at least 25 more uses that I simply don’t have room for in this blog. I wholeheartedly encourage you to discover this great way of cooking now. Not only will the flavors and textures be to your liking, but you certainly won’t feel like you’re “roughing it” in the event of an emergency. I’m sure you’re family is accustomed to cooking regularly with fresh produce. However, in a time of emergency, regardless of the season, fresh produce will not be readily available. So what can you do now to ensure some semblance of normalcy even in the event of an emergency? Learn alternative recipe methods. There are countless types of freeze dried vegetables that will add some spice back into your dishes such as onions, green peppers, celery, carrots, peas, and corn. Simply do a Google search on “freeze dried vegetables” and you will find a proverbial garden of resources. Remember that you can dehydrate many of your own favored vegetables as well such as shallots, zucchini, green onions, mushrooms, and so much more. So, there’s no need to feel slighted in your cooking repertoire. For an example of dehydrating onions, click here. Adapt your present recipes to accommodate some canned vegetables now. I’ve begun using canned peas, corn, and green beans regularly in my cooking so that I don’t feel deprived when I’m faced with a produce crisis. I’ve also successfully used more trendy canned/jarred vegetables such as artichoke hearts, canned potatoes, canned asparagus, etc. In our kitchen, I’m sure to also have on hand plenty of dried minced onion, and jarred minced garlic to ensure that I don’t have to suffer a loss of taste in my cooking. Get familiar with sprouting. Sprouts are a great substitute for fresh produce. Sprouting can provide you 10 times more nutrition than any of the other vegetables that you’ve come to know and love. For example, broccoli sprouts have been found to contain 50 times as much of the antioxidant sulfurophane as mature broccoli. Sprouts are busting at the seams with antioxidants and they are full of protein, chlorophyll, vitamins, minerals and amino acids. They are a veritable whole food. If you start incorporating sprouting now into your diet, your family won’t go into “shock” with such a new alternative. You can sprout almonds, wheat, all kinds of beans, amaranth, barley, corn, buckwheat, millet, oats, quinoa, rice, cabbage seeds, kale seeds, mustard seeds, pumpkin seeds, radish seeds, sesame seeds, sunflower seeds, peanuts, peas, and SO much more. Sprouting is also very fulfilling as it’s a relatively quick process. You get to benefit from the fruits of your labors a lot sooner than planting. Here’s hoping you can successfully begin implementing these sound strategies now so that you and your family can enjoy the benefits of vegetables in the future. I’ve also included a couple of recipes below that are simple “dump” recipes that include vegetables. They are yummy now and are ideal in the event of an emergency. Combine ingredients. Stir. Cover and cook slowly for about 4 hours, or in a pressure cooker for 25 minutes. Cook and drain pasta according to package directions. Place carrots and onions in a shallow skillet with ¼ cup of the dressing. Sauté until lightly warmed. Then add asparagus spears and ¼ cup of the dressing as well as the seasoning salt, and sauté until warmed through. Remove from heat and add to pasta. Also add artichoke hearts, bacon, reserved liquid, remaining dressing and bacon bits. (This is when you would add your optional items as well) Toss lightly and serve. In a 4-quart saucepan, heat oil over medium-high heat. Add peppers and onions and cook for 3 to 4 minutes, stirring frequently, until tender. Stir in mixed vegetables, tomatoes, and beef broth. Heat to boiling, breaking up the tomatoes with spoon as mixture cooks. Stir in pasta. Cook uncovered over medium heat 10 to 12 minutes, stirring occasionally, until vegetables and pasta are tender. Stir in beans. Cook 4 to 5 minutes more until thoroughly heated. As a special treat, top with garlic croutons, or parmesan cheese, or both! A Vegetable Water Bin: When you open a can of vegetables, (peas, corn, etc), instead of draining the liquid and throwing it out, drain it into a large bin, covered with a lid. Drain all of your vegetables in the same bin. Then when you make a soup, rice, or pasta, you can use this water to cook with instead of having to use fresh water. The same holds true for any water that you use to cook vegetables in on the stove. Suppose you use just a tad bit of water to steam your cabbage in, for example. Rather than discarding the water, put it in your vegetable water bin instead. Save Your Canned Syrups: The same goes for canned fruits, however, the water in these cans tends to be thicker, and certainly sweeter. You can use this “syrup water” to sweeten grain dishes for breakfast such as oatmeal, cracked wheat, etc. It’s also a great substitute for water in many baked good recipes. You can also use this liquid to make a “sweet milk” with your powdered milk and have a very pleasant taste. It’s yet one more way to ensure your children get their nutrients from powdered milk. Re-Use Your Bath Water: In the “olden days” it was not uncommon for multiple family members to reuse bath water. While a bit of hot water may need to be added, a couple of baths does not constitute needing to throw it out. You can reuse your bath water to wash laundry in. If you use biodegradable bath soap, then you can also use your bath water to water your garden with as well. Use Paper Goods When Possible: Instead of using dishes for everything, be sure you have paper goods on hand so that you can conserve the amount of water needed for cleaning. The paper goods also serve as good kindling when you’re making a fire to cook with. Catch Rain Water: Unless you live in Colorado which forbids its citizens from catching rain water, you should indeed set yourself up to do so. Simply place an open bucket (I recommend a 55 gallon one) at the base of your roof’s run off. You will be shocked at just how fast you can fill up a 55 gallon container with just a couple of mild rain storms. This water can be used for drinking once it’s pasteurized, and it certainly can be used for watering your garden, cleaning, bathing, etc. Don’t overlook what the good Lord can provide you. Capture it. Catch Bath Water: My husband and I have procured a “solar shower” so that we can enjoy a shower in times of “roughing it” rather than using a tub. However, we’ve also purchased a large, shallow, plastic bin about the size of a mini-shower floor. We’ve done so in an effort to capture even the shower water in order to be able to reuse it. Save Your Pasta Water: In addition to having a veggie water bin, and a fruit water bin, I would indeed recommend having a pasta water bin to store the water in which you cook your pasta, rice, and other starches in. This water is ideal for thickening sauces, soups, and casseroles. Avoid Running Water Actions: Most brush their teeth with running water. You’ll have to get over that habit real quick in a time of emergency. Out of necessity while living in the Philippines, I discovered, lo and behold, that I didn’t need to wet my toothbrush prior to brushing my teeth. And I can simply use a cup of water to rinse my mouth and my toothbrush with. The same holds true for hand washing. If you wash your hands first in a more communal bin for the tough stuff and then just rinse them off with fresh water, you’ll conserve a lot of water. Overall, before discarding a liquid, ask yourself what else you can possible use the water for? As you may recall, it is recommended that you store 1 gallon, per person, per day for whatever time period you’re preparing for. (I plan on a year.) This gallon of water is intended for drinking, cooking, bathing, and cleaning. However, is it a MINIMUM recommended amount. Putting these conservations tips into practice will help you stretch that gallon to its maximum capacity. For more on storing water, click here. If you would like Kellene Bishop to present an Emergency Preparedness message for your community or church group, please contact us at 801-788-4133. Ms. Bishop is an experienced speaker and demonstrator on Emergency Preparedness topics and has created a great “Preparedness Party” platform which makes the learning of such a topic more enjoyable for all. Is the Swine flu just something on the news, or should you actually be concerned about it from a preparation standpoint? The answer is yes, you should indeed be concerned about the Swine Flu—here are three important reasons why. First of all, understand the virus itself and you will understand why informed concern is appropriate in this case. It is a mutation which has components of the Avian flu, the regular flu, and Swine flu. Avian flu is dangerous only in that it is transported from birds to people. It cannot be transferred from people to people. However, this strain of the Swine Flu can. So, if it continues to mutate, you can have a virus strain that not only transfers from person to person, but also from birds to people. As you know, birds have very little borders. They are able to spread their disease via the dust and any other airborne particles easily. Because this virus has already demonstrated a successful mutation of 3 different strains, it shows that it will clearly continue to do so. A mutated virus makes creating antigens in your body very difficult. And if YOU can’t even create the antigens, then a scientist cannot do so either. Additionally, this particular strain of flu is very different. Instead of simply attaching to cells in our body, it is actually able to penetrate the cell wall, thus making exposure to antigens much more challenging. 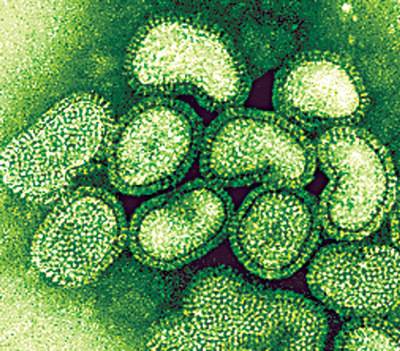 This particular strain of influenza, because it is compromised of H1N1 (Swine) and H5N1 (Avian) makes it an extremely penetrable and deadly virus which is rapidly adaptable and virulent. These two strains combined produce a killing potential at a cellular level. 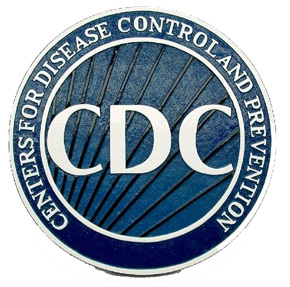 Another reason to be concerned is that the confirmed cases of Swine flu that we have been told by the media to date have been done so through the very limited availability of test kits from the CDC (Center for Disease Control). Understand that only the CDC can “confirm” a case of this type of virus. And the CDC only this week began sending out test kits to parts of the U.S. and to other parts of the world as well. We already have cases which have spread to New Zealand, Scotland, Brazil, Australia, and Canada. What all of this means is that we haven’t even begun to see the real numbers of people affected this flu epidemic. Keep in mind that viruses in general are not living organisms, rather they are protein structures whose only goal is to replicate themselves. The third reason why we should indeed be concerned is because even if this isn’t “the big one” it is certainly an incident which should wake us from our slumber of apathy. There is much to be learned from this outbreak that can literally save our lives. Looking at this outbreak and analyzing how we can better be prepared in the event that a pandemic affects our country and even the world, is the best way to prepare. However, having said that, I would prefer that you not underestimate the efficacy of this particular outbreak. To do so would be sugarcoating a situation with strychnine. Let’s not forget the facts thus far here. Schools are being shut down. DHS is taking action to be prepared for a possible pandemic. (Compare this to the fact that FEMA can’t even take action until after a serious crisis has occurred—this should tell you something.) The World Health Organization is NOT closing the borders because they state that such an act would be futile since the virus is already established widespread. (Remember what I said about not even having the real numbers yet?) One case of the Swine flu on a plane headed to JFK, La Guardia, Salt Lake City, Los Angeles, the San Francisco international airport and you can easily have a pandemic. (Come on. Think about it. You know how incredibly dirty the air on the airplanes are. Do you actually think that the air filtration systems on board will filter out this virus from traveling from one host to another?) Keep in mind that individuals who are carrying the virus may simply be a host. They may carry it to others without necessarily manifesting symptoms of it themselves. So you may assume that you are interacting with a perfectly healthy person, but still contract the virus strain. 1) Always use a breathing mask outside of your home. 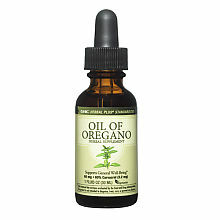 5) Regularly ingest immune system building vitamins and herbs so that you can create a true, non-chemical immunity. Don’t wait until symptoms appear. While viruses tend to mutate and get stronger under chemical attacks, they respond completely differently to non-chemical, strong environments. This is the very kind of culture you can create in your body if you start partaking now of quality herbs, vitamins, and minerals. I STRONGLY suggest that you ingest sublingual (taken under the tongue) or colloidal versions of your nutrition supplements as such methods are actually able to permeate the cells. Taking pills does not have this effect on your body and thus is useless to attacking a strain such as this that burrows into your cell. 6) Be sure you wash ALL of your vegetables (even the ones with skins) and meats very well prior to storing or cooking them. Also be sure to wipe off your cans of food prior to opening them. When you do follow these steps also be sure that you keep your hands washed afterwards as well. Here’s a natural wash for your meats and vegetables that you can make yourself. Fill a clean sink with cold water, (a plastic dish pan also works wonders) add vinegar and salt and let sit 15 minutes, rinse. (The vinegar cleans the fruits and vegetables, while the salt draws out any maggots and such, dirt and other undesirable components. This wash does not adversely affect the flavor at all and vinegar helps take care of the sprays and wax they tend to use. 7) Use a germicide (not a sanitizer) on high-traffic areas in your home such as door and cabinet knobs, telephones, and table edges. I highly recommend the one that Shaklee makes. It’s 100% biodegradable, concentrated, affordable, and incredibly EFFECTIVE. 8.) Use Latex gloves when handling items from outside of your home or when assisting other individuals (whether they manifest symptoms or not) outside of your home. 9) Eliminate contact with other people outside of your home as much as is truly possible. I hope this piece gives you further insight into your own preparedness efforts. And I truly wish you well in your goals of becoming more prepared. Click here for more from Preparedness Pro on the Swine flu. How Can You Be Prepared For The Swine Flu? Hopefully the news as of late regarding the spread of Swine flu has you concerned to some degree of your own exposure. Or perhaps the news has at least made you aware that your emergency preparedness supplies aren’t presently sufficient for such a crisis. If you’re becoming aware of such a situation, that’s actually the best thing that can result from the news of this epidemic. Because the good news is that you can be prepared for this and other like ailments by taking some proactive steps now. Being prepared independently to handle such a crisis as a Swine flu epidemic is critical. Believing that life will always be “normal enough” for you to plan on having access to the “anti-virus” or vaccination shortly after the time of exposure is truly a gamble of Russian roulette proportions. First let’s look at some supplies that you will want to have on hand for external physical benefits. 1. Breathing mask: A great deal of flu diseases are spread airborne. As such, being sure to protect your nose and your mouth from inhaling the disease or even from spreading it should you have been exposed to it is critical. Breathing masks are much like what you see on the doctors or nurses faces during a surgery. They do not have to be a heavy plastic. (In fact, if you do end up having to wear them for an extended period of time, you’ll wish that they aren’t heavy.) Instead, you can purchase lightweight version at your bulk wholesale stores. You will need to anticipate needed one per person in your home for each day that you may have to ride out an epidemic. 2. Hand Sanitizer: While washing your hands with hot soap and water frequently is preferable, it’s not realistic should you have to endure a bio-crisis such as this. So be sure that you have a quality hand sanitizer on hand. Again, you want to be sure that you do not underestimate the quantity of this item to have readily accessible. Not only will it prove useful for spreading a disease, but it’s ideal for everyday use as you ride out any other type of emergency which requires you to live off of your supplies. 3. Homeopathic Remedies: It’s important that you familiarize yourself with herbal or other types of remedies that can assist individuals who are exposed to something like the Swine flu. The more universal the remedy is, the better so that you don’t have to become a “pharmacy” of remedies. Storage space is valuable, right? I’ve researched a great deal of remedies and my first advice to you is to partake of something regularly now which truly strengthens your immune system. Use a quality nutrition supplement now in order to ensure your health later when such a disaster may affect you. I strongly recommend products such as Reliv or Essiac tea to be made a part of your daily regime now as if you wait until you’re exposed to an airborne illness such as the Swine flu to imbibe, your symptoms will be drawn out, and your body will also have to struggle with the introduction to healthy materials in addition to fighting the flu. To clarify, when you ingest a product which is effective in fighting such a virus, and strengthening your immune system, there will inevitably be some “cleansing” of your body. Cleansing toxins from your body can actually stir things up and make you a bit ill initially. So it’s important that you focus on your health now, so that if you have to step up your natural remedies, the cure doesn’t harm you, so to speak. 5. Knowledge: Yes, it’s true. You don’t want to bet your life on the utilizations of methods that you aren’t familiar with. So obtaining the knowledge you need to properly use such alternative methods is critical. The good news is that finding the right homeopathic medicine for the flu is actually relatively straightforward because the symptoms are easy to identify and universally evident in most flu strains. (Fever, body aches, sore throat, cough, runny nose, vomiting, diarrhea, and lethargy.) Additionally, you can take comfort in the fact that homeopaths have treated viral illnesses, including the flu as early as the 1918 flu pandemic. A report from the American Institute of Homeopathy in 1921 documented the dramatic success of homeopathy in the worst flu pandemic in history. The death rate of 24,000 flu cases under conventional medical care in that study was 28.2 percent, while the death rate of 26,000 cases treated with homeopathy was a nearly miraculous 1.05 percent. Similarly, many homeopathic physicians each reported treating thousands of patients with very few deaths. So get armed with the necessary knowledge, and you will truly be prepared. If you’re smart, you’ll store 400 pounds of rice per adult person in order to have a year’s supply. Understand that rice has a life-saving value to it in and of itself as it is the staple food of over a third of our entire world. I’ve lived in and seen many communities in which it was their ONLY food source. White rice typically stores for 10 years. Fortunately it doesn’t require that you store it in a cool, dry place, as the majority of our world which rely on rice live in hot and humid environment. As such, rice is hearty to store. Brown rice has a better nutritional benefit to it, but you can live off of rice with a few other items just fine. Since you’ll get sick of “rice and beans,” Mexican flavored rice, or fried rice after awhile it’s no surprise that I’ve had several requests asking what else can be done with rice other than “the norm”. Today I’m providing some other options for you. In addition to ingesting, “rice water” has been used elsewhere in the world to calm inflammations on the body. Rice strengthens the spleen and aids in curing digestive problems. Rice starch is used in making ice cream, custard powder, puddings, gel, and distillation of potable alcohol, etc. Rice can be ground into a flour and used as a substitute flour in flat breads, noodles, cereals, baby food, and more. You can also slow “roast” rice to the point that it “puffs” and eat it just like you would a bowl of Rice Krispies. You can also use rice to feed poultry. There are also some great uses for “leftover” rice as well, including the Congee recipe I’ve included below. You can make a simple salad by adding some olive oil, a can of artichoke hearts, nuts, Dijon mustard, and some flavored wine vinegar. If you simmer it for a long time and add cinnamon, coconut milk, and brown sugar, it’s one of my favorite desserts! You can also make “rice coffee” simply by roasting a cup of it in a frying pan until it’s brown, then putting it in a kettle with about 6 cups of water until boiling. Add your favorite sweetener, and voila—you have a caffeine-free alternative to regular coffee. For breakfast, I frequently ate “Champrado” in the Philippines. It was my favorite breakfast and so simple to make from leftover rice. By the way, left over rice doesn’t really have to be refrigerated. We always kept it on our kitchen counter overnight until we used it the next morning. For Champrado, all you have to do is boil the cooked rice in water (like a porridge as you see in the Congee recipe below) then simply add some sugar, cocoa powder and serve with some evaporated milk. Even the kids will LOVE this. Start experimenting now so that you’re not “lost in the woods” later on. Here’s some great rice recipes to try. Enjoy! Mix the following ingredients in a bowl and set aside. In a 9 x 13 casserole dish layer the following beginning with the rice. Season with appropriate spices such as green onions, a little soy sauce, ground black pepper, and Chinese Five Spice—super yummy! Dish in a bowl and enjoy.